From a rooftop of an abandoned building in North Philadelphia. 1964 — The Twist. Polymer Tempera on Canvas. American Realism or Regionalism style. 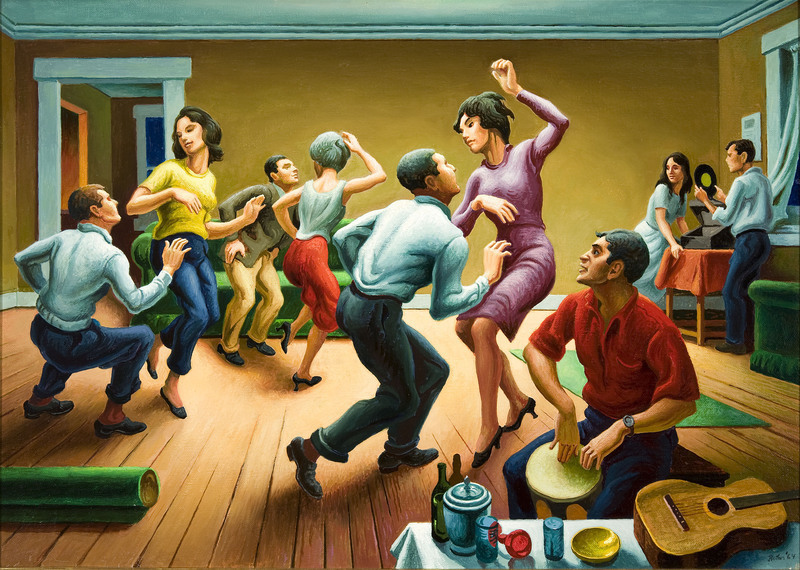 Thomas Hart Benton (1889 – 1975). Private Collection. 1953 — Office in a Small City. Oil on Canvas. New Realism style. 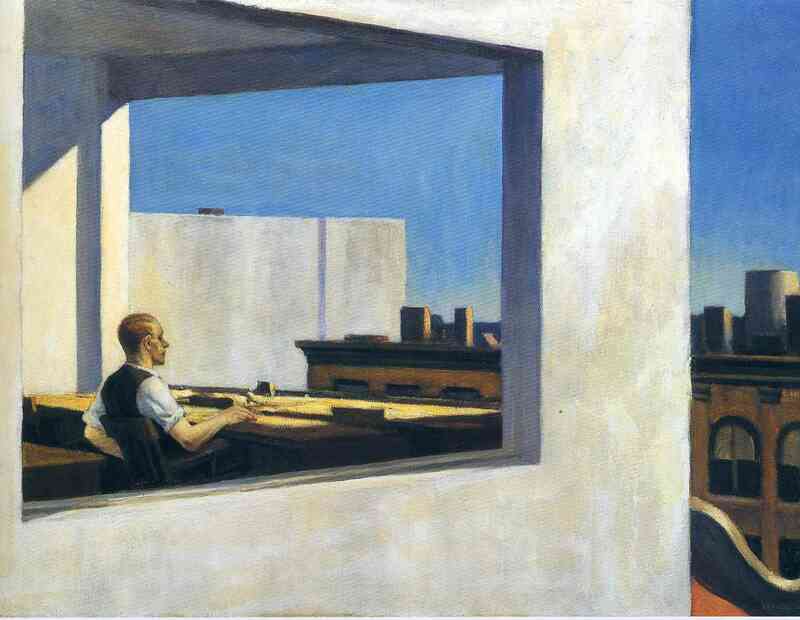 Edward Hopper (1882 – 1967). The Metropolitan Museum of Art, New York, NY.